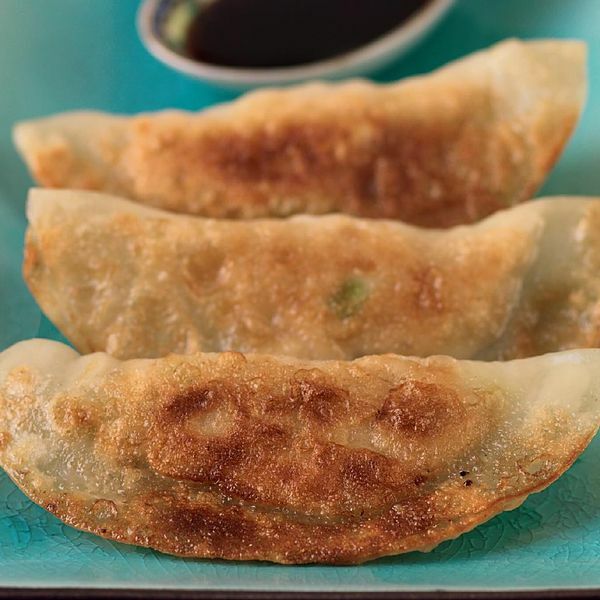 Make magical potstickers at home with this recipe from Gok Wan. 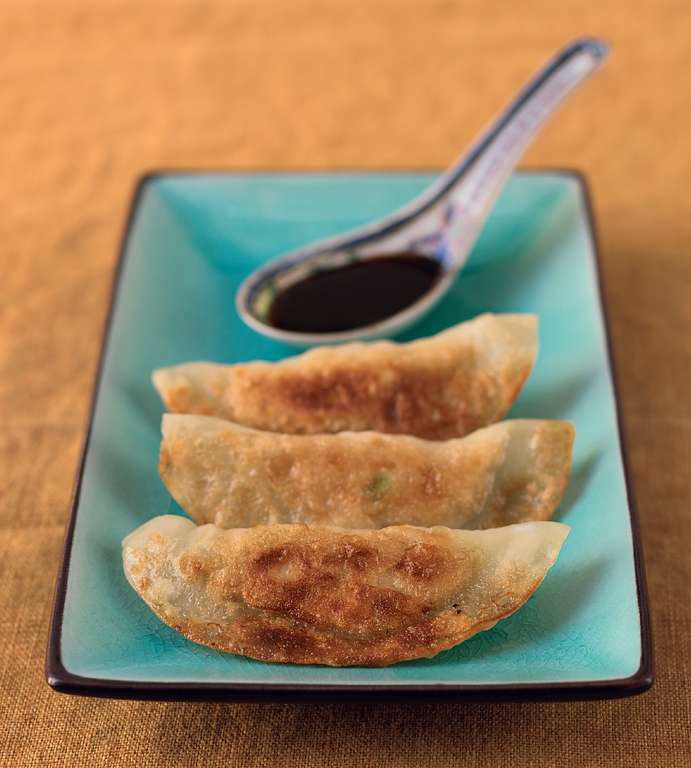 With a chicken and leek filling, these homemade Chinese dumplings are a real crowdpleaser! Have you ever gone out to eat dim sum and wondered, ‘How do they make these? 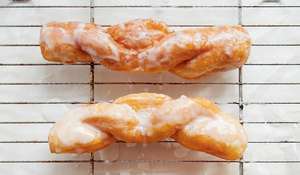 They taste so amazing, they must be complicated’ as you marvelled at the wonderful steaming baskets of joy? I know I have. Well, let me assure you, with a little practice you can become your very own dim sum chef. Like most Chinese food, it’s all about the preparation. Most dim sum dumplings are wrapped in a pastry of some description and, luckily, you can buy ready-made, rolled and cut pastry in most good Chinese supermarkets or online. Once you have this vital ingredient then the rest is just down to your imagination. 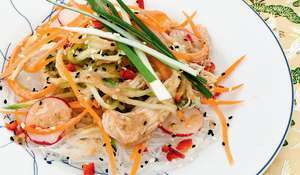 Chicken, pork, prawns, minced beef … freestyle your way around the fridge and create the fillings you want. Try this delicious and super-easy recipe, it's tasty, healthy and really fun to make! 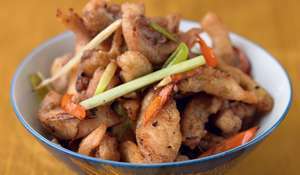 Put the chicken, leek, spring onion and ginger into a bowl or on to a board, and mix together well, adding the sesame oil, Shaoxing rice wine and a pinch of salt and pepper. Add a little egg white if the mixture needs binding together. Dust a work surface with cornflour and lay out the wonton wrappers. Place a small spoonful of the chicken mixture in the middle of a wrapper and brush the outside rim lightly with egg yolk. Fold over the wrapper to make a half-moon shape, enclosing the filling inside. Press out any air bubbles and seal the join, pinching the ends shut at the rim. Repeat with the remaining wonton wrappers and chicken mixture. 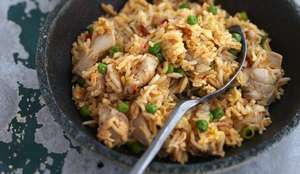 Heat a non-stick frying pan with deep sides, or a wok, over a medium to high heat. Add a glug of oil and place the dumplings in the pan. 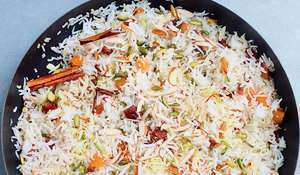 If using a wok, arrange them around the bottom and lower sides. Cook for 30-60 seconds over a medium heat, until crisp and dark golden on the base. Then pour in enough water to create steam around the dumplings (about 200ml) at the base of the wok or pan. Cover the pan and steam the dumplings for 5-8 minutes (topping up the water if the pan is drying out), or until the filling is cooked through. To make the dipping sauce, mix together the runny honey and soy sauce in a small bowl. Sprinkle in the chives to garnish. Remove the potstickers from the pan and serve coloured side up, with the dipping sauce on the side. Who's the author? Gok Wan, fashion expert and keen Chinese cook. What's it about? 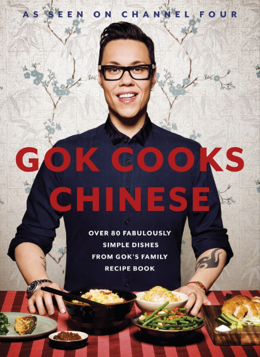 Gok Cooks Chinese is packed with simple, family recipes close to Gok's heart. This book makes domestic Chinese cooking accessible at home. 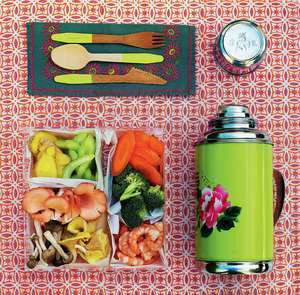 The food is about balance, health, flavour and fun.